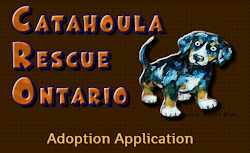 Catahoula Rescue-Ontario: Meet Outback ADOPTED! Hi, my name is Outback. My foster mom calls me Romeo because I'm a real love bug. I'm a Catahoula/Australian Shepherd mix. I might even have some hound in me because I have these freckles on my nose and front legs that my foster mom thinks are adorable. I'm a young boy - 1.5 to 2 years old they tell me. I'm neutered and up to date with shots. I weigh in at around 50-60 lbs and should be full grown at this point. I'm a medium to low energy dog. One good walk a day is all I really need to keep me in tip top shape. I do like to lounge around outside and a fenced in yard would be ideal to do this in. I am currently living with a beagle, a puggle and 5 cats. We are all getting along very well. My foster mom says that I do not have an aggressive bone in my body. I am very quiet and respectful in the house and I am housebroken, no messes at all. I walk very well on leash, just a bit of pulling that we are working on but nothing I cannot overcome. I am also learning to like my crate but it is going to take some practice. I need a single family home as I can do some lonesome singing when my family leaves me and some patience to help me understand that it's ok for me to be alone when you must leave the house. 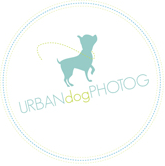 I'm pretty sure I'd be fine being an only dog; I'd get all the attention that way. It would be okay too for me to live with another dog more my size so that we could play together. My doggy foster sisters think I'm too big for them and won't play with me right now. I have not been kid tested but my foster mom thinks that I would be okay with older children because, I like to jump up and give these awesome hugs. I would never mean to harm a smaller child but I'm just a little bit big and might knock them over trying to love them. My foster mom is taking me to an obedience class where I am learning all the basic commands so that I can be the best dog I can be for my new furever home.